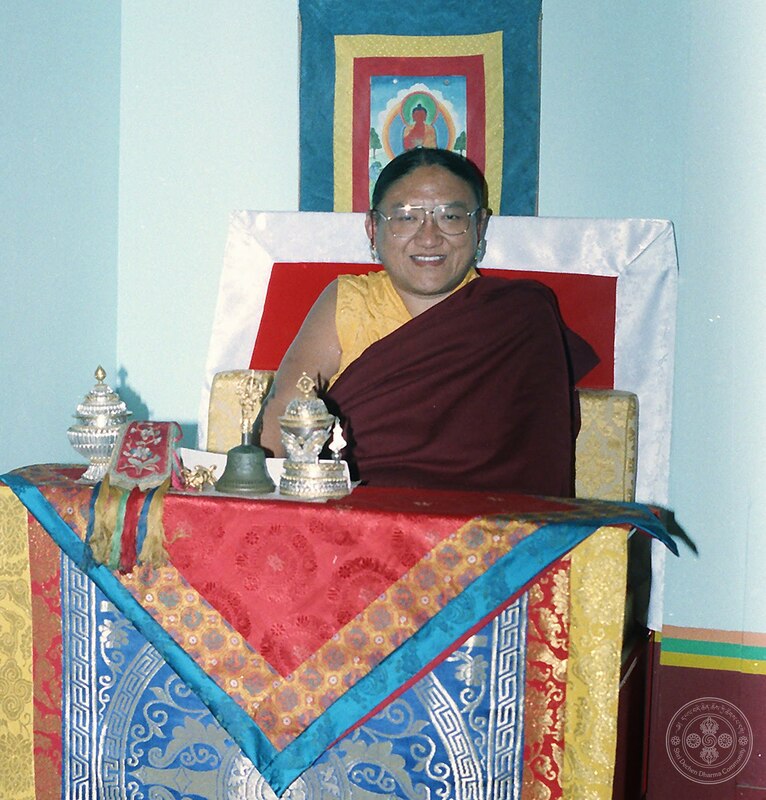 His Holiness Sakya Trizin's fourth visit to our dharma community came in October 1991. 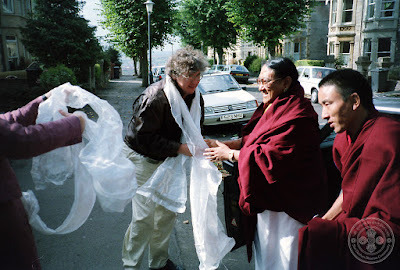 His Holiness gave a public teaching in Bristol, followed by the initiation of Amitayus from the lineage of Tangtong Gyalpo. Then, at the request of Lama Jampa, His Holiness gave the initiation of Vajrayogini to suitably qualified students. His Holiness also visited Sakya Thinley Namgyal Ling in Exeter, where he gave a well attended public talk.